There are always rules... I am the Dream Master. Not you. What I say goes. And I say this dream is gone, so beat it.’ There are good dreams and there are rotten dreams, but once they’re over, they’re over. Or are they? For one morning, as Cy is about to wake up from a terrific dream about Ancient Egypt, he discovers that he can get back into his dream world. 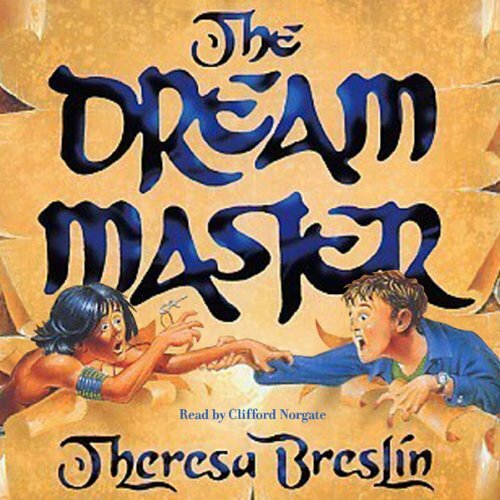 There’s just one problem: the Dream Master, who isn’t used to stroppy boys standing up to him and wanting to break all the rules. And as Cy moves back and forth between the present day and the land of the pharaohs - sorting out all kinds of problems with schoolwork and bullies - dream life and real life become ingeniously intertwined!